Two “shared accommodation” spaces have become available in our Once Upon Water programmed residency! Facilitated by Teresa Asencao, and happening for the first time in Canada, Once Upon Water, focuses on artistic responses to, and engagements with issues surrounding “water”. The extended deadline for applications is August 15th. 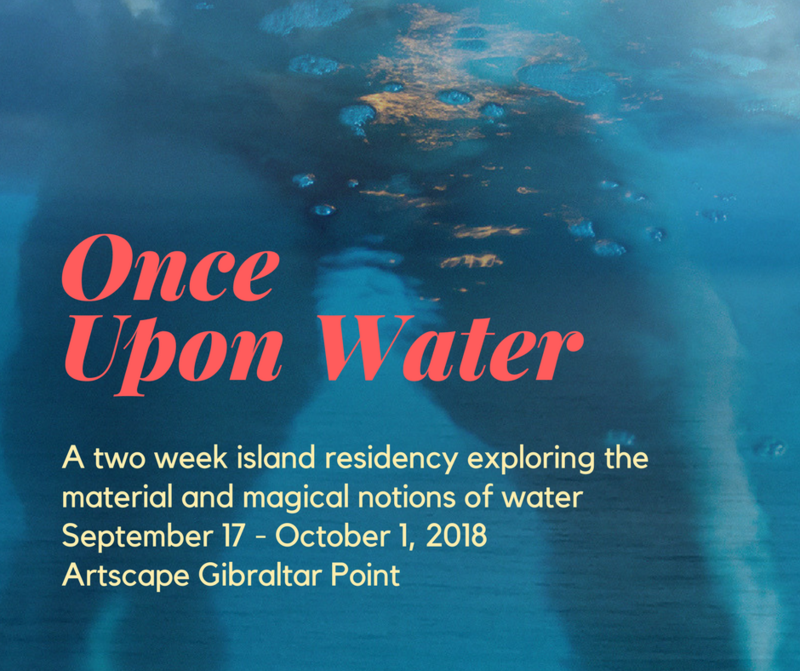 To find out more about this exciting, last-minute opportunity to participate in what promises to be an unforgettable experience on the Torotno Islands and at Artscape Gibraltar Point.